In 1916, Oregon voters passed Prohibition FOUR years before it took effect nationally. Most vines at local vineyards were torn out and replaced with fruit trees and potatoes. Mind you, at this time the wine industry in Oregon was still a small one. Albeit, this killed it all together. It wasn’t until Lett entered his 1975 Reserve Pinot Noir in the 1979 Gault-Millau French Wine Olympiad and placed in the top 10 in a blind tasting among the finest Burgundies that the world started to take notice of Oregon as a serious winemaking region. Today, the state is recognized as one of the premier wine producing regions in the world. Oregon is home to four distinct and unique wine regions, which make up 18 American Viticultural Areas (AVAs – official wine growing regions). The state is one of the few places in the world outside of Burgundy, France known for producing world-renowned Pinot Noir. However, given its diverse climate everything from Arneis to Zinfandel is produced in Oregon with the top varietals being Pinot Noir, Pinot Gris, Riesling and Chardonnay, Syrah, Cabernet Sauvignon and Merlot. 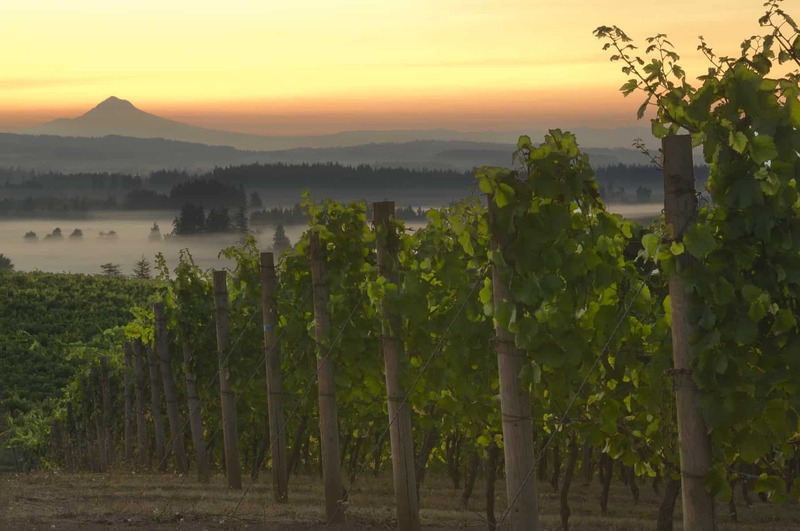 In addition to the Willamette Valley AVA, Sub AVAs include Chehalem Mountains, Dundee Hills, Eola-Amity Hills, McMinnville, Ribbon Ridge and Yamhill-Carlton. Less than 60 miles east of Portland, is in the Hood River area, aka the Columbia Gorge AVA. The climate here varies widely. From the high desert-like east to the cooler, wetter west, a range of grape varietals ? Chardonnay, Pinot noir, Syrah and Cabernet Sauvignon, among them – thrive in this region. Nearby is the Columbia Valley AVA, which mainly lies in Washington State, with a small section in Oregon stretching from The Dalles to Milton-Freewater. With five AVAs ? Umpqua Valley, Red Hills Douglas County, Rogue Valley, Applegate Valley and the new Elkton – in addition to the Southern Oregon AVA, and more than 65 wineries, Southern Oregon is one of the most diverse winegrowing regions in the world. Cooler areas produce Pinot noir, Pinot gris, Sauvignon blanc and more. The warmer, arid regions ripen Cabernet Sauvignon, Tempranillo, Syrah and others. Located in northeastern Oregon eight miles south of Walla Walla, Washington, this region is open, spacious and home to vineyards along the Columbia River. As the warmest growing region in Oregon, this region is known for making wine varietals including like Syrah, Cabernet Sauvignon and Merlot. Oregon shares the Walla Walla AVA with Washington state, however more than 50 percent of Walla Walla AVA wine is made from grapes grown in Oregon. Sunrise over Mt. Hood and a fog filled Willamette Valley from Elk Cove’s Five Mountain Vineyard near Laural and Hillsboro, Oregon. Oregon has more than 700 wineries and over 500 wine tasting rooms – all are worth the pilgrimage. The three-day event is famous around the globe, as a mecca for lovers of Pinot noir and northwest cuisine. During the weekend, world-renowned winemakers, northwest chefs, esteemed media, epicures, and wine lovers will gather in McMinnville, Oregon, for three days of exploring Pinot noir, savoring unforgettable meals, and learning and celebrating with luminaries of the food and wine world. Along with the speakers and chefs, it is the relaxing and festive atmosphere that sets it apart from all other wine events. Whether tasting Grand Cru Burgundy or walking through Oregon vineyards with the grower who planted them, guests find themselves unwinding in picturesque Oregon wine country for what wine legend Jancis Robinson described as “one of the most enjoyable wine weekends in the world”. Yakima Valley wine tasting from the barrel is a unique experience. Expect wines to taste different than you are used to out of the bottle. The vintages are brand new – giving tasters a sneak peek in to how they could mature. Will it be an award-winner? You be the judge at Spring Barrel celebrations. You have two weekends to participate: On April 20-22nd, many wineries are open for “pre-barrel.” This is an opportunity for a bit slower pace and more education from the wine-maker as crowds are smaller. The weekend of April 27-29th is Spring Barrel Weekend, where droves of people gather in the Yakima Valley for the largest wine festival in the Pacific Northwest to experience the new vintages straight from the barrel. Many wineries have local food pairings, live music and festivities. The annual Northwest Food and Wine Festival has become the definitive wine festival in Portland with a targeted half-day wine and food celebration. The festival brings the highest quality regional wines, spirits, beers, foods and prominent chefs and restaurants. It’s designed to present a rich and rewarding experience for wine lovers, gourmet food enthusiasts and industry experts. With more than 500 wineries in the Willamette Valley, there are wine trails abound. Just pick one based on where you’re staying and you’re sure to sip well. Oregon’s Seven Wonders – This trail is for both beer and wine lovers. For wine lovers, you have seven Willamette Valley wineries to explore and beer lovers are offer four craft breweries along the rout. East of Eden Wine Trail – The emphasis of this Willamette Valley wine trail is on boutique wineries in the eastern portion of the valley. Eugene Wine Trail – The the southern portion of the Willamette Valley, just outside the town of Eugene is the Pedaling for Pinot – Eugene Wine Trail. 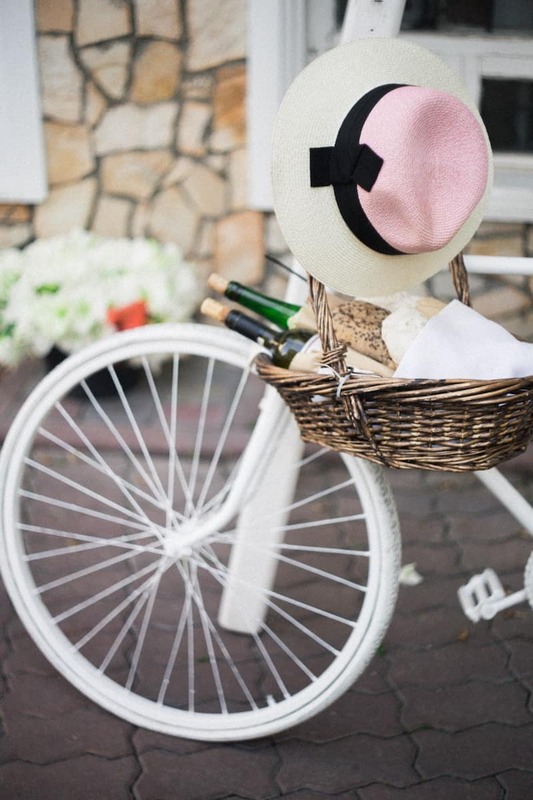 This is the perfect trail for those of you who are into biking and wine tasting. The country roads will take you to both large and elegant to small and intimate wineries, and all of them make amazing Pinot Noir. 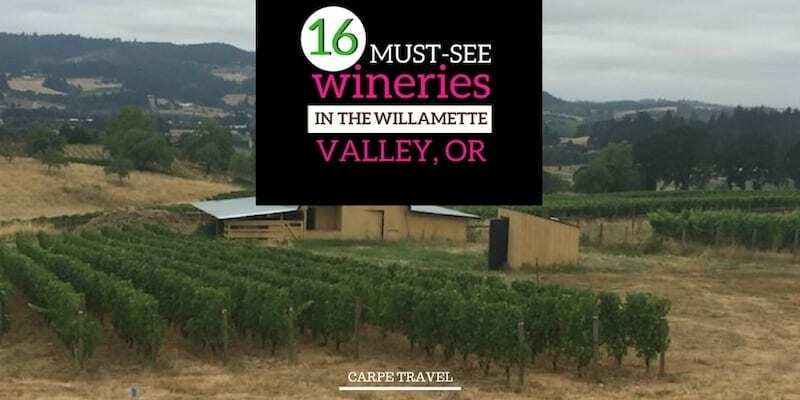 Salem Wine Trail – Twelve wineries and five historic places along the route, including Oregon’s State Capitol, makes for a history and wine lovers perfect wine country getaway. The Grand Hotel in Salem – Formerly the Phoenix Grand Hotel. Features 193 over-sized guest rooms and suites. Each room has a work/living area, complimentary high-speed Internet, complimentary breakfast and more. Century House B & B – This charming B&B offers spacious guest rooms and specialty breakfasts to accommodate all preferences and is within walking distance to downtown Salem shops, restaurants and attractions. Skamania Lodge – This is a destination hotel located in the Columbia River Gorge National Scenic Area in the town of Stevenson, Washington. The resort offers a distinctly Pacific Northwestern experience, featuring a three-story stone fireplace, sweeping river views in the main lobby, two locally-inspired restaurants, an outdoor zipline and aerial park, the Skamania Lodge Golf Course and a full-service spa.